Bathinda: The Punjab police reportedly conducted raids to ‘detain’ acting Jathedars appointed during Nov. 10 (2015) Panthic gathering. The raids were also conducted to detain the leaders and activists of the Shiromani Akali Dal Amritsar (Mann) and United Akali Dal (UAD). The police reportedly raided the house of UAD leader Gurdeep Singh Bathinda at around 3:30 am but he was not at home. Later, at around 10 am, the police conducted raid at his house in village Burj Mehma the police could not find him there too. Similarly, headquarter of Damdami Taksal Ajnala was also raided at around 3:30 am by Amritsar rural police but Bhai Amrik Singh Ajnala was not there. The Kotkapura police reportedly detained Bhai Amrik Singh Ajnala at police check post this morning when he was heading towards Bathinda. SAD (Mann) leader Parminder Singh Balianwali was also detained by the police. 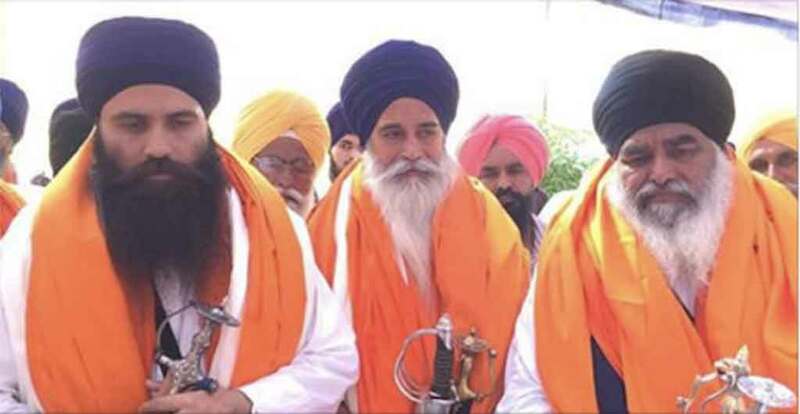 A representative of the Untied Akali Dal told Sikh Siyasat News (SSN) over phone that the acting Jathedars had announced to open an office in a Gurdwara Sahib near Talwandi Sabo and the police raids were aimed at preventing the Jathedars and party leaders from opening up that office. “We were to open an office at Damadami Taksal Gurmat Vidyalya located at Talwandi Sabo to Bathinda Road today but the police have turned the Gurdwara Sahib into police cant” said Yadwinder Singh Bathinda. He said that various leaders of UAD and SAD Mann have gone underground to avoid harassment at the hands of the police. He said that the detained leaders were not formally arrested by the police yet. He alleged that the Punjab police was unduly harrasing UAD and Mann Dal activists due to political reasons.